Volunteers from community groups that called for and helped to organize the first meeting of the East Oakland Congress of Neighborhoods. Residents of East Oakland are being invited to a birthday party for an infant community organization. Its been a year since the call went out and the new East Oakland Congress of Neighborhoods formed.? Now they are calling the community back for a first anniversary meeting and celebration. The inaugural meeting last September brought together about 700? East Oakland neighbors and staff from active community organizations serving East Oaklanders in Council Districts 5, 6 and 7.? 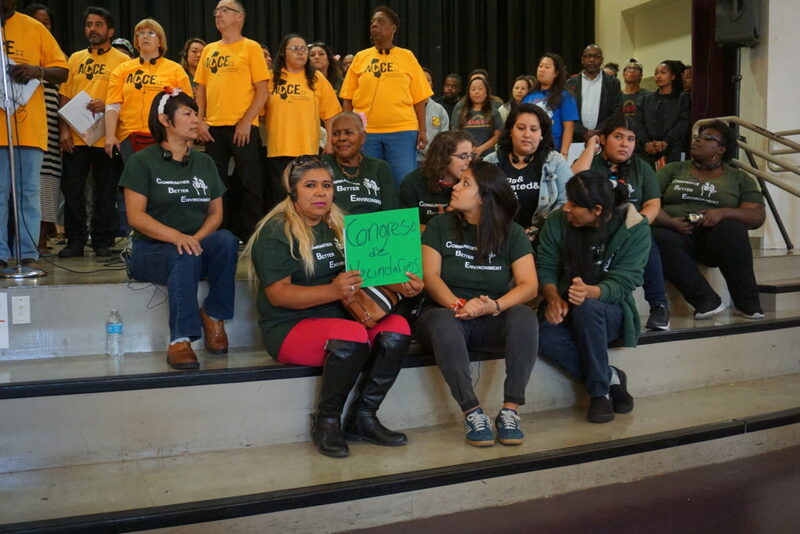 ?But unlike generalized town hall meetings, attendees were called to join and collaborate to build a power base supporting the needs and interests of East Oakland residents. The 1 year anniversary gathering will take place this Saturday, September 29th, at Greenleaf Elementary School,? 6328 E. 17th Street, and they are planning for another large crowd. For example, actions on illegal dumping resulted in City Council members funding an extra $1.4 million for for extra clean up crews and extra pro-active PWA cleanups in illegal dumping hot spots in East Oakland. The Congress also held a Town Hall this August on Environmental Quality in East Oakland, called “The Power of Breath.” This event focused on efforts to document the effects of bad air quality for people living? in the industrial corridor of East Oakland, near 880. ?Community members, mostly Hispanic, and staff from Communities for a Better Environment [CBE-Oakland] showed simple equipment for community testing of air quality.? Others ‘testified’ about severe symptoms that befell their families when they moved this part of East Oakland.? One person, “Cesar”, told the audience he became an air quality activist after hearing his younger sister coughing frequently night after night. ?“No matter what neighborhood we live in, all of us?are dealing with a lot of the same issues, from the Eastlake neighborhood to the San Leandro border, so this is why we are working together. We are stronger when we are united,” said Guillermo Carillo, an East Oakland resident. During the last half year, the EO Congress created an interim leadership council composed of community volunteers and staff from participating community organizations.? This group is planning the upcoming all neighborhood anniversary as well as other events like the air quality town hall. 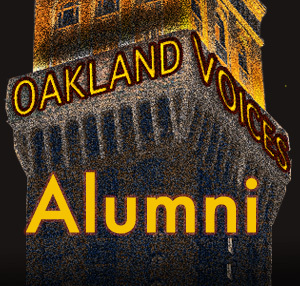 Organizers told Oakland Voices that there will be presentations from the focus groups with translation services for all speakers.? There will also be cake. Find a photo album from the 2017 inaugural meeting of the EO Congress เครดิตฟรี100ถอนได้HERE.